Working lamp. 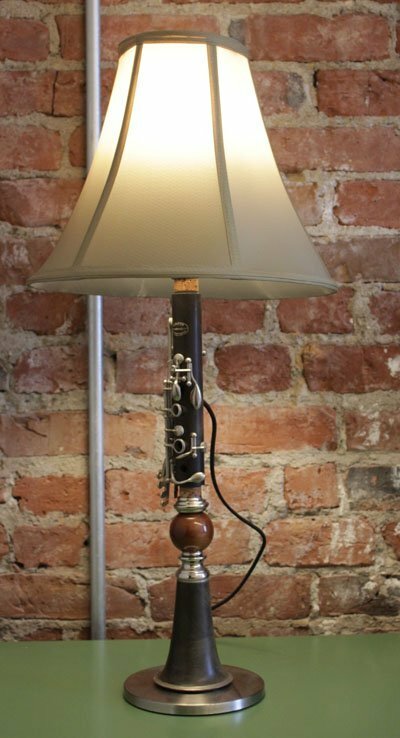 Retired clarinet, found objects. Ken Ewert has been crafting props for professional theatres for twenty years. He also creates these one-of-a-kind lamps from various and sundry objects. These are from the latest series of musical instruments.